This morning something joyful, simple and full of flavour. I was thinking about corn, how wonderful it is and quick, and remembering how I had had corn in some Mexican restaurants. With a fresh tangy crumbled cheese on top, and of course, a kick. I am working on a whole slew of BBQ recipes this week, and some sides are warranted, so let us start here. Working with what we have, instead of a Mexican cotija cheese, I use feta. Feta, a Greek cheese, is protected, and can only be called feta if it is the traditional cheese produced in specific areas of Greece from sheep’s milk, or sheep and goat’s. You, of course, know it, and it is widely available in supermarkets. The real stuff is aged for a minimum of 3 months resulting in a salty firm & crumbly cheese with a bit of a tang. Imitators pale by comparison and sometimes taste odd, but there are some fantastic British & Irish sheep’s cheese you can use too. Like Irish Knockalara (from my home county of Waterford). Corn, well that is simple enough. Buy whole corn that is fresh and still luscious and moist, not dry. Preferably with the green husks still on as they keep it nice and fresh. Good juicy limes and a fresh bouncy chilli. As hot as you like, I went for a fresh jalapeno. Enjoy! 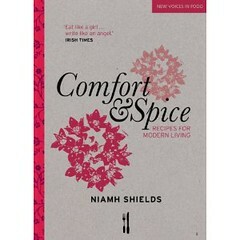 Come back for BBQ recipes en route to go with early this week. Make your butter by mashing the lime and chilli into the butter, ensuring it is well mixed. Boil the corn in salted water for a few minutes until tender. Drain. Toss in half the butter until well coated. Serve with the feta crumbled on top, and the remaining butter and quartered limes on the side. 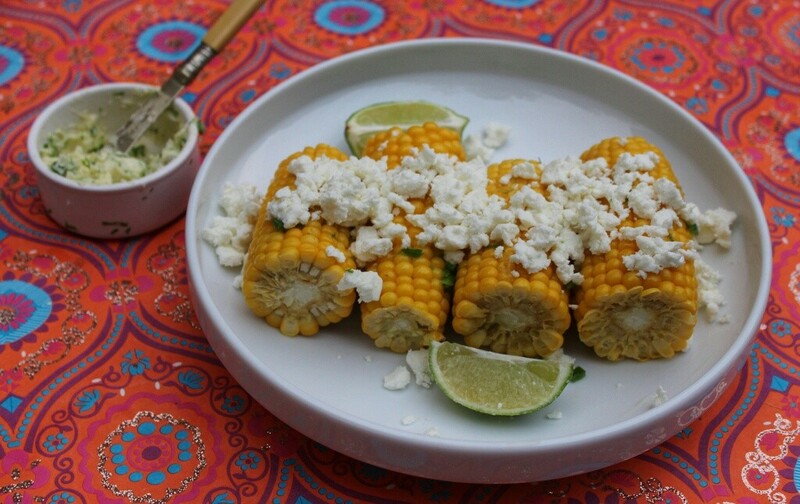 Its almost bed- time for me, as I see your post….and now I want to eat corn with lime:) Ah! how is that possible. Thanks anyways. Mmmmm making now as bbq accompaniment. Cant wait to eat!! Oh YES PLEASE! Love corn with flavoured butters… Also – where did you get that plate from? I love the shape!